Dr. Leanet Ascunce, DMD has joined Pediatric Dentistry of Ft. Myers, Dr. Tim M. Verwest, DMD. Dr. Ascunce obtained her specialty certificate in pediatric dentistry from Boston University Henry M. Goldman School of Dental Medicine. 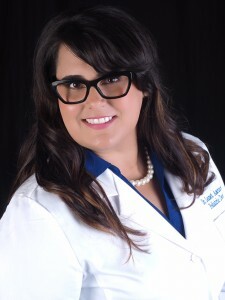 Dr. Ascunce is a graduate of the University Of Florida College Of Dentistry and completed her general practice residency program at the Malcolm Randall VA Medical Center in Gainesville, FL. She holds a Bachelor of Science in Biology from Florida International University. Her professional affiliations include The American Academy of Pediatric Dentistry, the American and Florida Dental Associations. Pediatric Dentistry of Ft Myers, Dr. Tim Verwest, DMD, is located in Ft. Myers and Port Charlotte. Dr. Verwest continues to provide pediatric dental care to children for the last 25 years. Areas of service include comprehensive dental exams, cleanings, composite fillings, dental hygiene education, extractions, fluoride treatments, sealants, sedation dentistry, space maintainers, x-rays and tooth nerve treatment. For more information, visit www.DrVerwest.com or (239) 482-2722.